I’m sorry it’s taking me so long to get updates out. I’ve been very busy with the book blog and weather has not been permitting me to go out to walk and write. So I’m stealing time here and there to write when the muse strikes. Check out this awesome video that 4padfoot made for Lover’s Amnesia! Don’t forget to get your entries for the WHAT?!?! Search Term Led to My Site Contest! I have extended the deadline until July 31st. 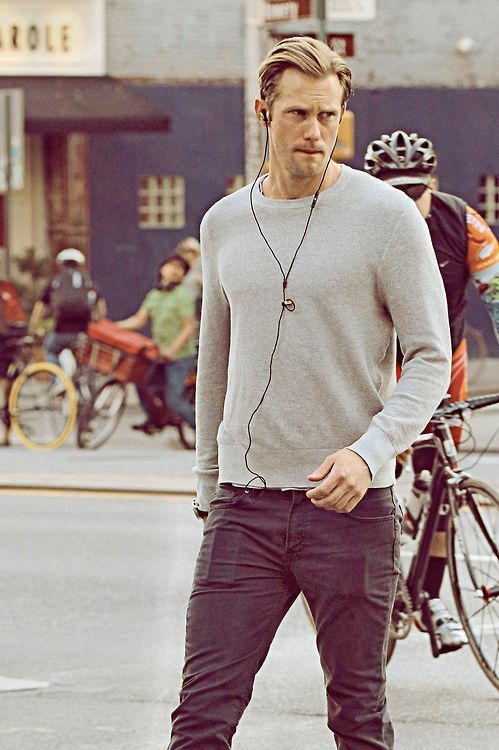 Alexander Skarsgard takes a stroll in SoHo New York. Virala went over this chapter, but she is no way responsible for any grammar mistakes. MsBuffy is on vacation so all mistakes are mine. I’m pretty sure you didn’t want to wait another week for a chapter did you? I didn’t think so.Click the banner below to take you to Chapter 12 of Lovers Always. Yummy pic, no wonder you put it in the background. Not popular with hubby right now. I just hit play on my tablet forgetting it’s 5am and he needs to sleep even if I can’t, oops! I’ll have to watch the video later, I think his WTF will be ringing in my ears all day. OMG the video is frigging awesome, and so story appropriate! I’m going to have to get a YouTube account now and watch them all. I use it all the time but have never made an account so can’t comment on there – yet.